Does Your Site Generate a Buyer’s Attention? When you have a group of individuals bunched together in a single room it is interesting to watch the different personalities interact with one another. You can very quickly see who likes to socialize because they become the center of attention whereas others are just listening to what they have to say. In many ways, a website should be designed to be the ‘extrovert’ in a group of sites within the same industry. It should grab the user’s attention in a positive manner and be able to keep it so they don’t look elsewhere. As a realtor, your specialty is the residential and/or commercial property market, which is focused on helping buyers and sellers find exactly what they are looking for and working through the paperwork until the deal is finalized. If you have to devote a lot of your time on website development then you will not be able to maximize the oportunities available to you and this will cost you in future commissions. Real estate web design is a necessary investment that may not cost you as much as you think it will especially when you partner with a firm that understands your needs and allow you to choose packages that fit your needs and financial standards. These experts can quickly evaluate your expectations, give you templates to choose from and then incorporate the online tools you and your clients need to efficiently work through the business. In essence, they capture your personality and that of the intended area and then build it into a web design that stands out from the competition as the best choice for that location. 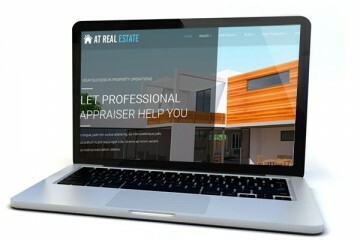 You can ask for content management, IDX, lead forms and blog areas which are ideal for giving clients helpful tips and suggestions on relocating or the home buying process. When you stick to your area of expertise and allow the real estate web design professionals to take care of the rest then you are going to have more business than you’ve expected. Clients will feel like they already know you before they actually meet you because your site has introduced you and interacted with them on a unique level as was intended by the best web designers in the business.